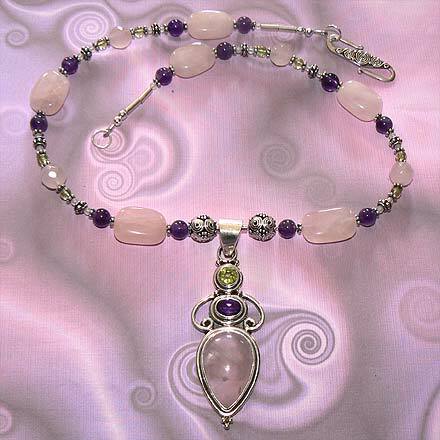 Sterling Silver Rose Quartz, Amethyst and Peridot Necklace. See Closeup. 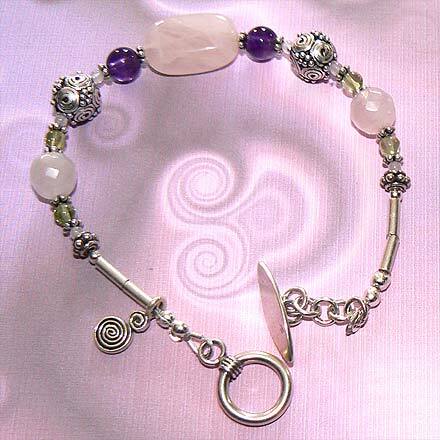 Sterling Silver Rose Quartz, Amethyst and Peridot Bracelet. 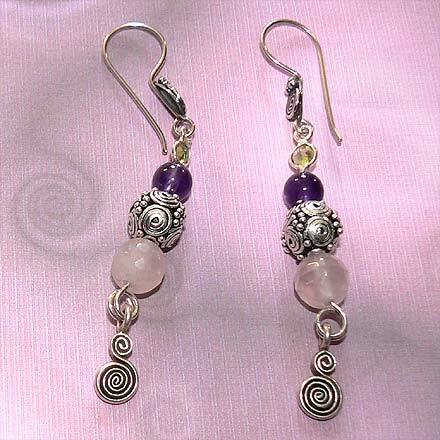 Sterling Silver Rose Quartz, Amethyst and Peridot Earrings. 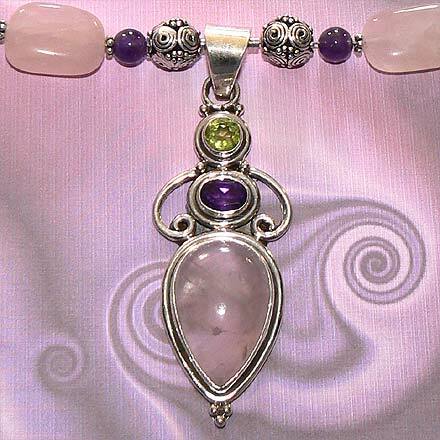 Pink (Rose Quartz) and Purple (Amethyst) gems are the color of spring blooms, highlighted with fresh young leaves...green Peridot.